Need a guide to Marvel Comics at New York Comic Con? Earlier this month we published a list of Marvel TV panels coming to New York Comic Con. But don’t worry comics lovers, Marvel is bringing a full slate of comic book panels to the convention as well. Mighty Marvel editors and guests take you behind-the-scenes and show you how a Marvel comic book is made! Learn about every aspect of production including writing, penciling, inking, coloring, lettering, editing, and more – with creators on hand to offer personal insights and anecdotes. If you’re interested in the ins-and-outs of the comic book industry, this is the one panel you can’t miss! Join co-hosts Ryan “Agent M” Penagos and Jamie “Hasn’t Picked a Super Hero Name Yet” Frevele as they talk with Marvel creatives about their Marvel origin stories, favorite story arcs, and more in this very special live episode of the This Week in Marvel podcast! Surprise guests? Seeeekrits revealed? Swag? Anything is possible at New York Comic Con! Join Joe Quesada, Jimmy Palmiotti, and other comics legends as they reflect on the industry-redefining MARVEL KNIGHTS imprint as it celebrates its 20th anniversary. What was it like to pioneer this bold new storytelling style for Marvel’s heroes, and how has it impacted Marvel comics, movies, and television series over the last two decades? Learn about all this and more at this must-attend retrospective – and bring your own burning questions! NOT to be missed by any fan of the Mighty Marvel Manner! Look out, here comes the Spider-Man panel! Editor Nick Lowe does whatever a moderator can along with Spider-Writers Saladin Ahmed (Miles Morales: Spider-Man), and Nick Spencer (Amazing Spider-Man). Listen buds, as we’ll tell you all about the Amazing Spider-Man’s next adventure! Action will be your reward as you learn the latest about the multiversal mega-crossover Spider-Geddon! Plus – like a streak of light, Miles Morales news will arrive just in time! This is your chance to meet the new head of editorial at Marvel! In an exclusive one-on-one interview, freshly-minted Editor-in-Chief C.B. Cebulski will talk about anything and everything involved in what’s next for Marvel. Want to know what the future holds for Marvel’s mutants? Dying to find out how Spider-Geddon ends? What does Forbush Man really look like without his helmet? Ask C.B. these questions and more in the Q&A! PLUS – don’t miss a surprise exclusive giveaway variant comic! 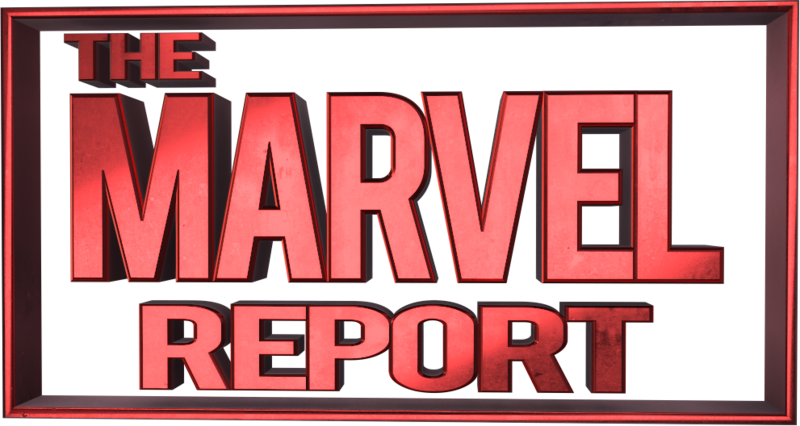 Monumental events are on the horizon for the Marvel Universe, and Editor-in-Chief CB Cebulski can’t wait to tell you all about them! Industry luminaries Jason Aaron (Avengers, Conan the Barbarian), Donny Cates (Guardians of the Galaxy), Gerry Duggan (Infinity Wars), and Dan Slott (Fantastic Four, Tony Stark: Iron Man) have incredible new stories in store for your favorite characters, and this is the place to hear about them first! PLUS – don’t miss a surprise exclusive giveaway variant comic! Join Executive Editor Nick Lowe along with a slew of Mighty Marvel Guests including Al Ewing (Immortal Hulk), Daniel Kibblesmith (Black Panther vs. Deadpool) and others for a private panel discussion of what’s happening inside the Marvel Universe. Get FREE merchandise, never-before-seen sneak peeks of upcoming comics, Q&A session and more! Not to be missed! Open only to Marvel Unlimited Plus members and Marvel MasterCard cardholders. X-Traordinary things are in store for Marvel’s Merry Mutants! Editor X the X-Treme (AKA Jordan White) is joined by superhuman talents Ed Brisson (Dead Man Logan, Uncanny X-Men), Sina Grace (Iceman), Matthew Rosenberg (Uncanny X-Men), Charles Soule (Return of Wolverine), and Leah Williams (X-Men Black) for a fun-filled forum. The current X-Men teams unite this November under one uncanny banner! Wolverine has returned under mysterious circumstances, but his aged counterpart might not be so lucky! All this, and Iceman reunites with his Amazing Friends! PLUS – don’t miss a surprise exclusive giveaway comic! Across comic books, television, new media and more – the Women of Marvel are here! Join the conversation with Sana Amanat and Judy Stephens as this diverse and talented group of women to discuss the creative process, what it’s like working as a woman in comics today and what it means for the future of the industry. Stay tuned to The Marvel Report and follow us on Twitter for on the ground coverage of New York Comic Con, October 4-7.
REVIEW: Spider-Man 2099 #13 – Civil War 2099!